Coming soon! My new project, Carrots! Connor O' Conner is anything but cute, and this year he's not hiding a single freaking Easter egg! 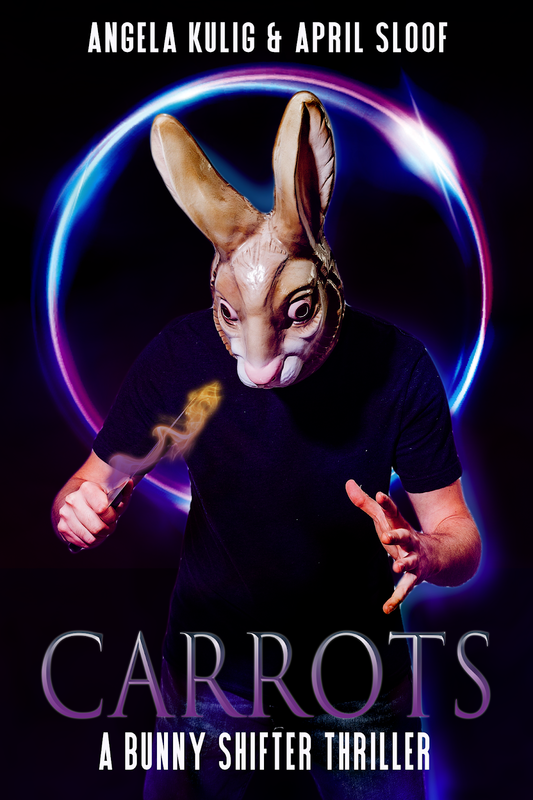 Look out Los Angeles, someone is murdering innocent mammals, and one Rabbit isn't taking it basket down. All the hunt rules are on the main website: http://cursedlandsboxedset.com/scavengerhunt/. 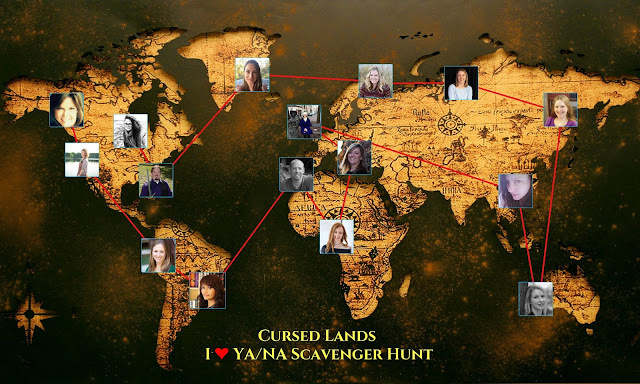 But a quick reminder: Find the secret word in BOLD in my blog post below and string it together with the words from all the other hunt stops to win the grand prize $100 Amazon Gift card! 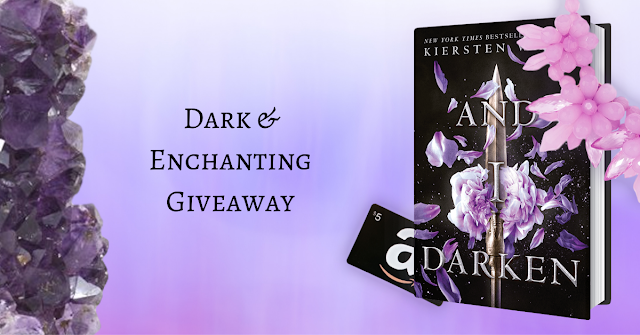 BTW We're also hosting another giveaway, so make sure you read all the way to the bottom of my post for your chance to win! 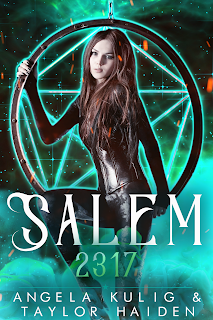 Nineteen-year-old Arwyn Blake has two jobs: kill the last non-magical nomads who dare call Salem home, and continue her bloodline by marrying a man she hates. It's said that those without power are a poison upon the land, but the beliefs of her centuries-old coven are based on a lie. It should have been an easy hunt, but when Arwyn spares the life of a pale-eyed rebel, she unearths a secret that changes everything. "The architecture is unique. 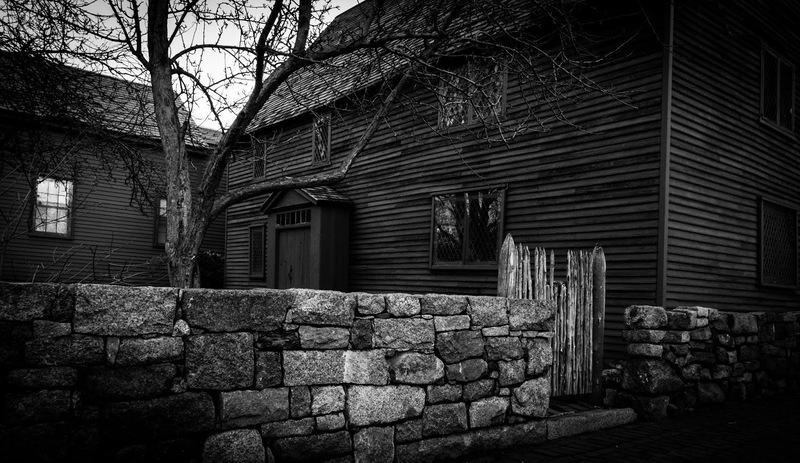 Imagine if someone tried to put together old style (17th Century) Salem Witch Houses with more modern angles and a dash of Tim Burton. Everything is gray and black. The streets of made of tar, with cobblestone around city buildings-which are made in the same style as the houses." Or See all the stops by clicking here. Suprise! 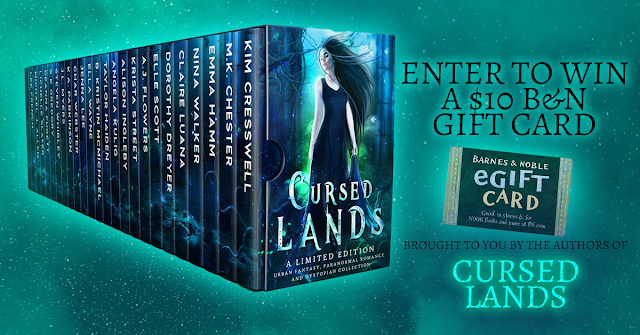 If you pre-order Cursed Lands on Nook, iBooks, or Kobo--we will send you 15 free books including a couple from yours truly! A few of them are shown here, click here for details. Offer Coming Soon to Amazon Kindle! New deets on a bewitching new book series by myself and my co-author Taylor Haiden. 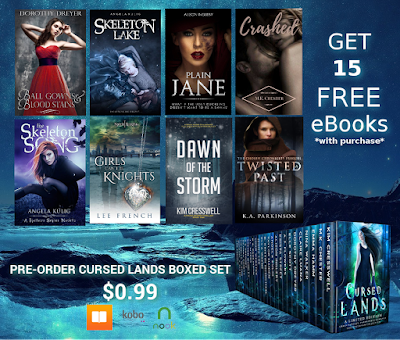 You can get a ton of free bonuses now, by clicking here and entering your pre-order information here. The powerless are a plague on the planet, but the witch hunters hide their own secrets. Those without power might be a poison upon the land, but the beliefs of her centuries-old coven are based on a lie. One moonless night was all it took to break Arwyn of every truth she's ever known. It should have been an easy hunt. Arwyn had no reason to trust the boy with lavender eyes, but in sparing his life she may have doomed her own. 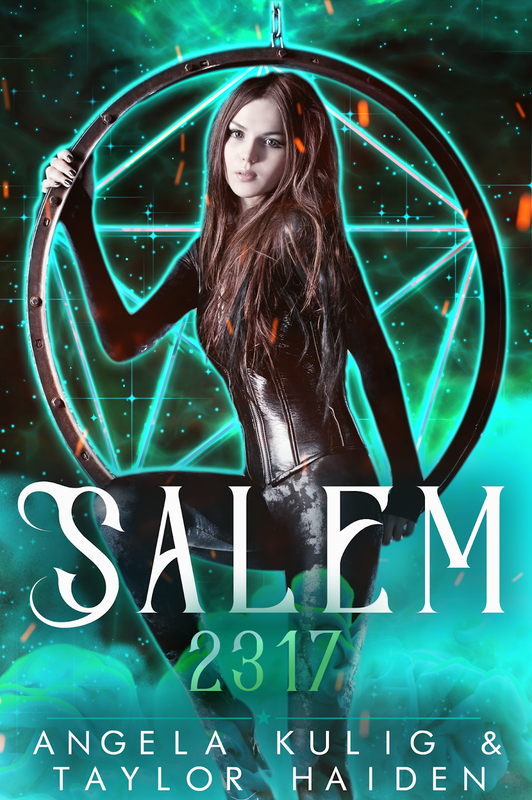 Salem 2317 is the first in a Dystiopian Witch Trilogy. 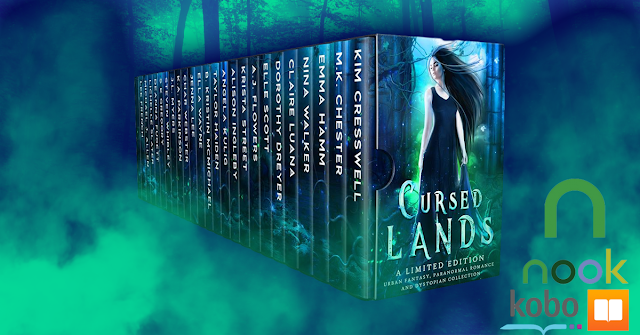 Get it exclusive to Cursed Lands for a limited time! Love books like I do? I've put together a Fantastic list to help your Fall along! Need more motivation? I put together a Fall Reading Essentials Prize Pack! Warning, prices are subject to change without warning!